You’re analytical and organized. Details are never missed by your eagle eye, and you know how important accuracy is. Plus, you’re very interested in technology. All of those qualities combined make you a great candidate for the field of health information technology. As a health information technician, you’ll be helping to improve the entire healthcare process for patients. 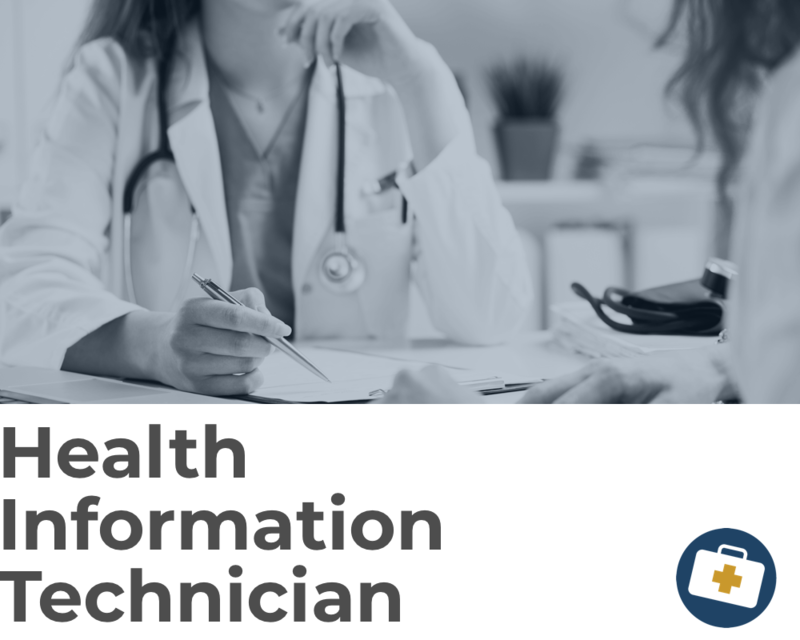 Find out more about becoming a health information technician, from what they do to how to become one. Within the health information field, you can also choose between medical coder and cancer registrar. Medical coder: Review the patient information to uncover pre-existing conditions in order to properly code, be able to assign codes so the patient and doctor are billed correctly, and liaison between the medical practice and insurance company. Cancer registrar: Verify that the patient records are complete and correct, assign proper codes for treatment of cancers, track the treatment and followup, gather information for research purposes, and keep a database of cancer patients. No matter what industry you’re in, technology advances. You’ll need to be able to keep up with the changes to the electronic health records (EHR), and roll with the changes to your job, as well. You’ll be able to find a job in a medical facility such as hospitals, doctors’ offices, clinics, insurance companies, and government agencies. Take math, biology, computers, and health while still in high school, so you have a head start. Go to a trade school or community college that offers health information technology. Get your certification, which is required by many employers. Certifications include: Registered Health Information Technician (RHIT) and Certified Tumor Registrar (CTR). Become licensed if you are going to become a cancer registrar—they need to be in most states. Consider getting a bachelor’s or master’s degree to advance in your career. All education requirements will vary depending on the facility you’re applying to. Because changes occur within the technology, as well as the entire healthcare field, you’re going to need to keep up with it. Which means, there is a large amount of continuing education you’ll be doing if you want to keep up with the times and stay employed! Find a healthcare administration school near you. The average salary you’ll start out with is over the $25K mark. But as you gain more experience as a health information technician, your earnings will grow to $40K. The top 10 percent of people in your field are earning well over $64K annually, on average. If you work in a hospital, you’ll have evening, weekend, and holiday hours. However, doctors' offices will allow you to have a more regulated work schedule. You’ll find that the highest paying industries are professional, scientific, and technical services where salaries average just over $42K, which is similar to the next highest paying—hospitals. There is going to be 27,800 new positions opening for health information technicians through 2026, so you shouldn’t have too hard a time finding a job once you’ve completed your training and received your certifications.